Visiting the 50 States Journal. Let's go see all 50. We have all wanted to do it: See the 50 states in our lifetime. 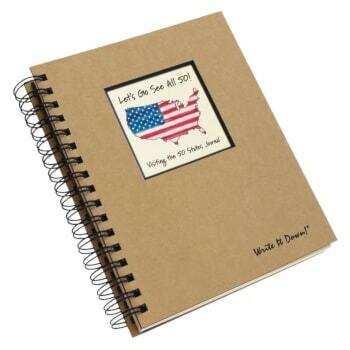 Get this journal for friends, family, or yourself. Take it with you on your travels filling in the details of your vacations, trips or adventures. Discover interesting and quirky facts about the states you visit. What will you find on your trek through all 50 states?